Have you ever wondered what to say to someone who might be struggling with addiction? Do you think someone close to you might have substance or alcohol use disorder, but you’re not sure what the next step is in getting them help? Have you ever wondered what recovery actually is? Those in search of answers can hear directly from a regional leader in treatment and recovery, at the upcoming community workshop Understanding Addiction: How Research is Charting New Roads to Recovery. The event is set for Wednesday, March 13, from 6-8 p.m. at Oxford Treatment Center’s outpatient office at 611 Commerce Parkway. There is no charge to attend. Refreshments will also be provided, and everyone is welcome. Mark Stovall, CAT, CMHT, Chief Operating Officer for Oxford Treatment Center, is the creator and facilitator of the Understanding Addiction community workshop. Mark Stovall, CAT, CMHT, Chief Operating Officer for Oxford Treatment Center, will be leading the workshop, designed especially for those who have a friend or family member struggling with addiction. 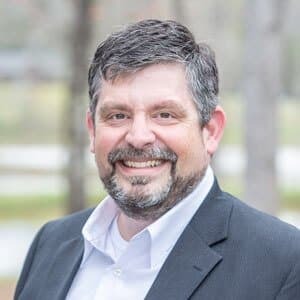 Stovall is the former statewide head of substance abuse treatment oversight, having served as director of the Bureau of Alcohol and Drug Services at the Mississippi Department of Mental Health (DMH). He has two decades of experience in the fields of chemical dependency and behavioral health. As a chronic disease, Stovall said, addiction cannot be cured with a quick-fix approach, but rather through a long-term strategy of support. Family and friends have an important role to play in providing that support, he said. Stovall’s program will also give practical advice so family and friends can talk to people in their lives who may be struggling with addiction. Brian Whisenant, Director of Community Relations, has been instrumental in the creation of the continuing education programs offered at Oxford Treatment Center. Brian Whisenant, Director of Community Relations, said the topic had been requested by therapists and social workers who often encounter substance-abuse problems in their clients, but are not specialists in treating addiction. For the community workshop, he said, Stovall will focus on providing practical information for people of all ages and backgrounds. Stovall will also answer questions about how family and friends can tap into treatment and support resources to get their loved ones help.